Oh boy here we go, even in a game where you guys should quite obviously be the favorite, you still can't help but wear your inferiority complex on your sleeve, or should I say shirt.. Does your guys team facility, have a big poster of the Packers that you grumble and throw rocks at all day? Jordysghost wrote: Oh boy here we go, even in a game where you guys should quite obviously be the favorite, you still can't help but wear your inferiority complex on your sleeve, or should I say shirt..
@DerekWetmore "You know, it’s a t-shirt. You can go down to the store and print ‘em up. It’s not a big deal.” --Mike Zimmer, true to form. Yea, I would downplay this as well, if I was Zimmer. Can we do a wager Jordy? If the Vikings win, you have to leave the board until the next Green Bay - Minnesota game in week 17 , but if the Packers win, I have to leave the board until the next Green Bay - Minnesota game in week 17.
frosted wrote: Can we do a wager Jordy? If the Vikings win, you have to leave the board until the next Green Bay - Minnesota game in week 17 , but if the Packers win, I have to leave the board until the next Green Bay - Minnesota game in week 17. Idk, I mean, its not like im really all that confident in a GB win tbh.. and i'd hate for Vikes fans think I can't take my lumps should the Packers lose. This is classic Zimmer. Always making sure the team is focused on the next game. The subtle message is "All the winning we've done recently means nothing to the fans if you let this spiraling team bounce back against you". DK Sweets wrote: This is classic Zimmer. Always making sure the team is focused on the next game. The subtle message is "All the winning we've done recently means nothing to the fans if you let this spiraling team bounce back against you". I think Zimmer should have done away with the whole inferiority, ankle biter complex that the Vikings tend to have in regards to the Packers. At some point you have to stop acting like beating us is your SB, especially when you are one game up and playing at home. Jordysghost wrote: I think Zimmer should have done away with the whole inferiority, ankle biter complex that the Vikings tend to have in regards to the Packers. At some point you have to stop acting like beating us is your SB, especially when you are one game up and playing at home. I don't interpret it the way you are. You're viewing this as saying "We have to beat Green Bay! They're the best!" (lol so not true this year). I view at as saying "We're up right now. This is a big game against our biggest threat in the division. Don't get proud of your success and lose focus". DK Sweets wrote: I don't interpret it the way you are. You're viewing this as saying "We have to beat Green Bay! They're the best!" (lol so not true this year). I view at as saying "We're up right now. This is a big game against our biggest threat in the division. Don't get proud of your success and lose focus". Well, if we win, then that WILL be true so far this year, at least division wise. Yea but, everyone makes it a point to play well against division rivals, not everyone prints out shirts like it is some special occasion, especially considering this is a game you should be expecting to win. EDIT: You know what? Im not even going to stoop to your level. All I will say is that Packers fans are often mentioned as among the best in sports. 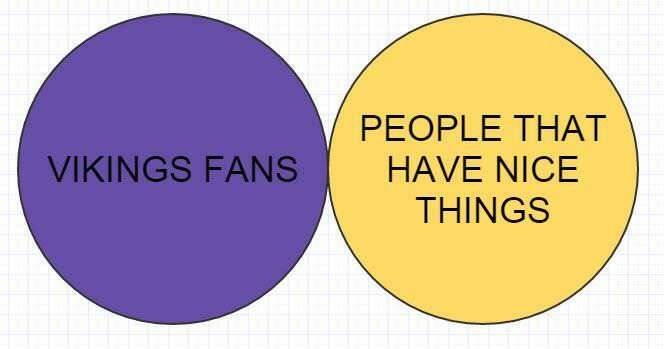 Nope, just a general consensus around the league. Selling out every game for about 55 years doesn't hurt that perception either. But..... you guys printed out shirts and everything!